Besides the rest of their equipment, Orca Gear produces around 15 different Molle products. One of them is the Molle Wrap, a cooler cover made with molle webbing. It’s available for 26, 40 and 58-quart Orca coolers, but you can also get ones made for pouches, first aid kits, pistol holders, flashlight and external chargers. The Molle Wrap is made from rugged 600D polyurethane coated nylon and features tactical velcro closures. It will protect the inside of the cooler or other equipment. This is very useful for all sort of camping trips and outdoor explorations. As for the Molle webbing, it’s 1″ Type III, has 0,046 thickness and features 1000 lbs tensile strength. You can attach all sort of things to the Cooler Molle Wrap. What’s also cool about it is that it allows you to attach different things to the cooler. It’s also very easy to set it up. 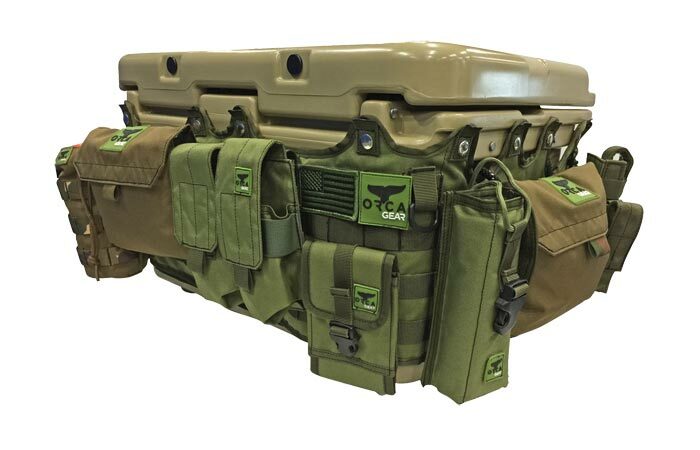 The Molle Wrap is available in desert green and CRP camo. If you’re looking for more cooler accessories like baskets, cushions, master locks, wheel kits, handles or other, check out the Orca Gear website.